One Steinway Place, the address of the venerable Steinway & Sons piano factory in Astoria, Queens, is also the title of photographer Chris Payne‘s latest show at the Bonni Benrubi Gallery in midtown Manhattan. 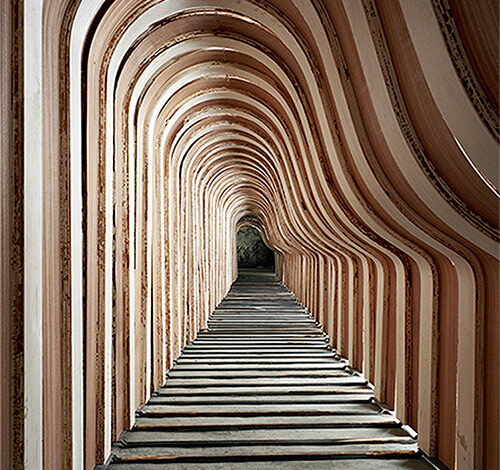 The series of large-format photographs are the result of his days and weeks spent in the factory, to which Steinway gave him full access. Payne captures the unexpected and striking forms, patterns, and textures that emerge when he turns his lens to pianos-in-the making. “A piano is something we all think of and love as a whole, but like anything complex, it is really just a kit of parts, built up gradually out of raw, messy materials. And yet, the deeper I look into its construction, the more I revere it as one of the supreme accomplishments of the human hand and imagination,” said Payne. On September 13 at the South Street Seaport Museum, Payne will speak about his Steinway project as well as his photographic series about North Brother Island. The lecture (6:30-8pm) is hosted by Open House New York. For information and tickets, click HERE.